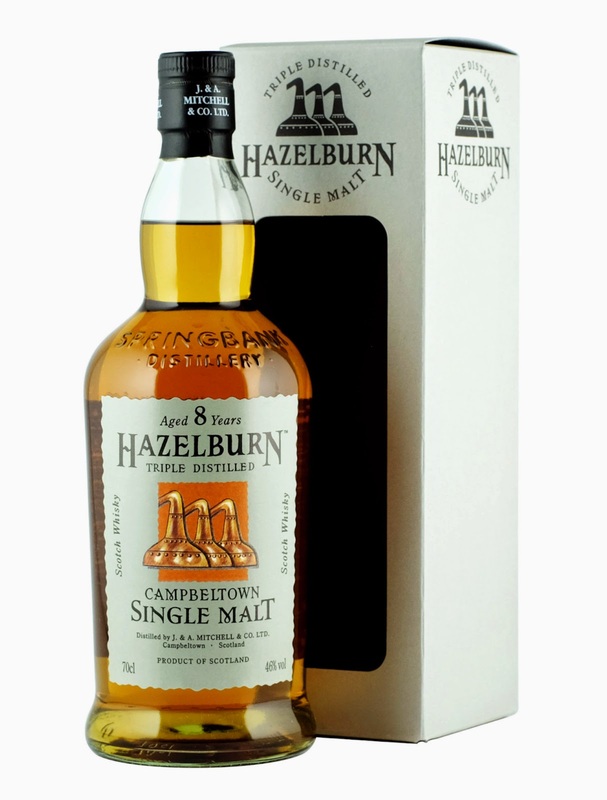 Hazelburn 8yo (46.0%): This is one of the drams we sampled together during our tasting last weekend focusing on my trip to Scotland last June. It is the eight year old Hazelburn from Springbank Distillery. Hazelburn spirit was first distilled during 1997 in Campbeltown when Frank McHardy brought the idea of triple distilling back to Scotland after spending his years at Bushmills. The whisky is not chill-filtered and not peated at all. It is one of my favorite go to whiskies but produced only 5,100 bottles every year which makes it kind of hard to find and slightly pricey for an eight year old whisky. Color: Straw like, pale yellow. Nose: Fresh cut unripe peaches, wet hay and coconut cookies. Belgian endives, jonquils and wintergreen Altoids. Fresh, vibrant and floral. With a few drops of water I get some latex gloves just ripped out of their packaging and rubber bands. Quince jam and candied orange peel. Palate: Creamy and soothing mouth feel. Jarritos pineapple soda, juicy Anjou pears, Chiquita bananas, fresh almonds, wild flower honey and fresh cut grass. Water added a touch of tartness: Granny Smith apples and... I almost said peat but I know there is none in there. Strange... Maybe I can settle for some iodine and cheap vitamin pills. Finish: Longer than I expected. Walnut oil and very mild white pepper. Overall: The spirit is on the lighter side for sure but maybe delicate is a better descriptive than light. I love it... If I ever have to choose a whisky for breakfast (and I really hope that I will have to someday...) this dram would be the one. It is a whisky for every season. Great dram in summer anytime and perfect apéritif in winter months.